ImovingFootball and FÚTBOLCARRASCO establish a collaboration agreement for the creation and development of the project “SPORTS-FORMATIVE EVENTS FÚTBOLCARRASCO & IAMFOOTBALL”. 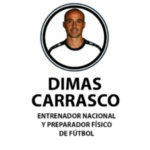 The brothers Carrasco are two Spanish football coaches and physical trainers who have earned a special place on the national scenario, based on their effort, work and good results. With professional experience in clubs such as Real Madrid CF, Sevilla FC, Europa FC and Bristol City FC, they are currently known for leading the best grassroots football excellence camp in Spain. 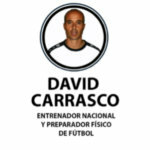 ImovingFootball and Fútbol Carrasco organise an Elite Football Camp – Summer 2019 for foreign football players on the Spanish Costa del Sol, in the province of Málaga, during the second week of July 2019. A one-week programme focused on the technical and tactical training of football players through professional training and friendly matches against clubs in the area, as well as the introduction to the Spanish language through football, extra-sports education and coexistence through the football practice.